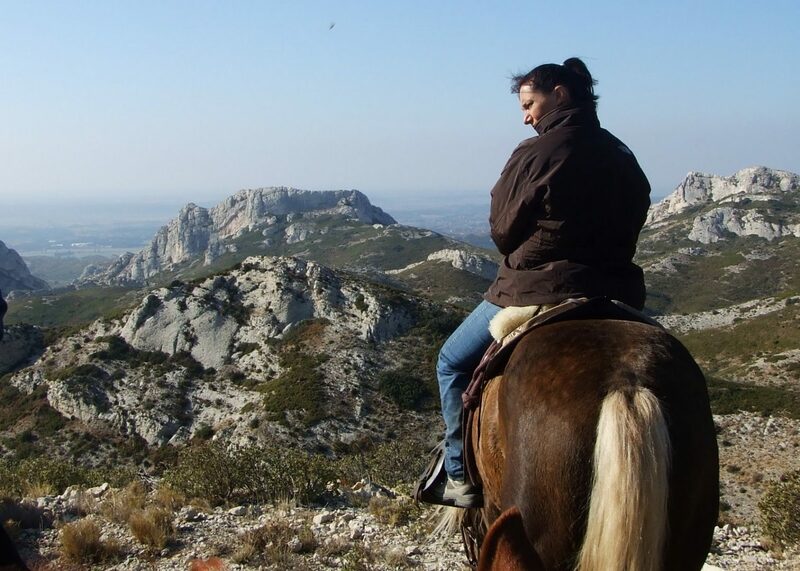 Ask for a private outing to discover Alpilles Natural Park at your rythm, canter and gallop, make stops to enjoy the landscape. 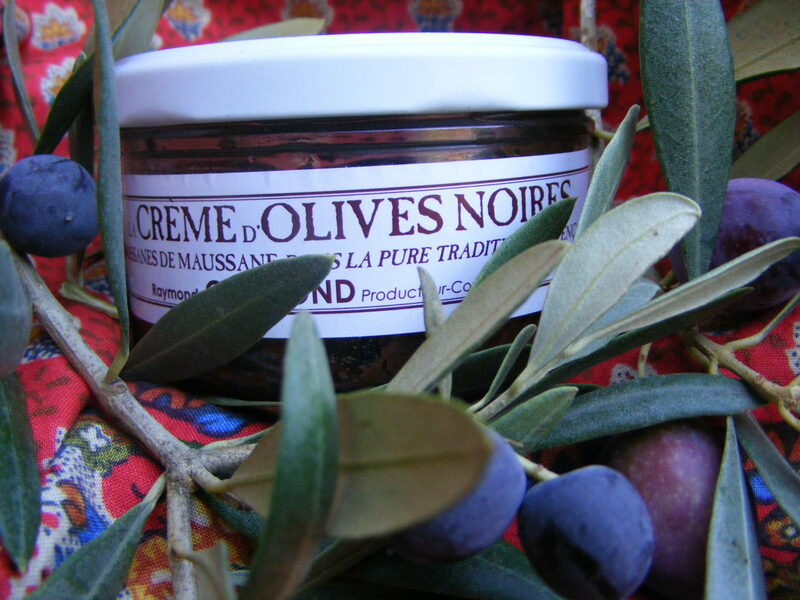 Want some originality and intimacy ? 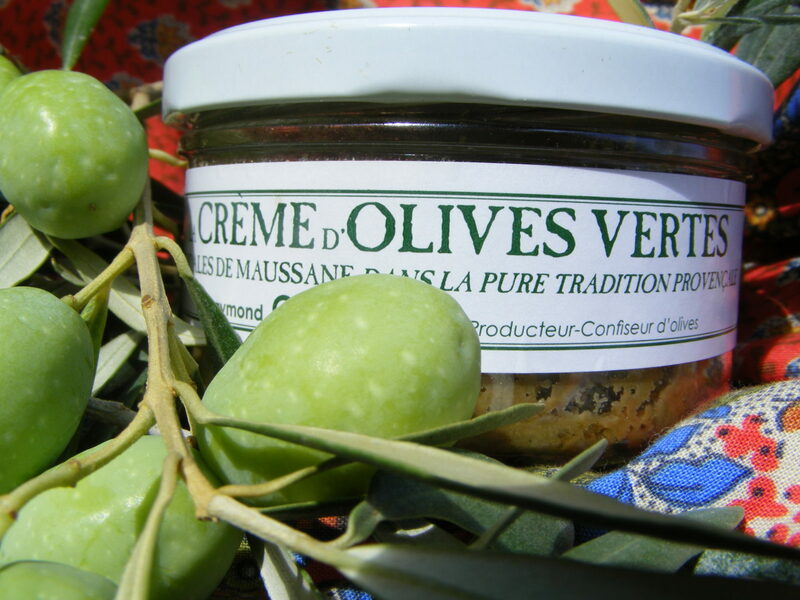 Le Petit Roman proposes new and exclusive concepts. 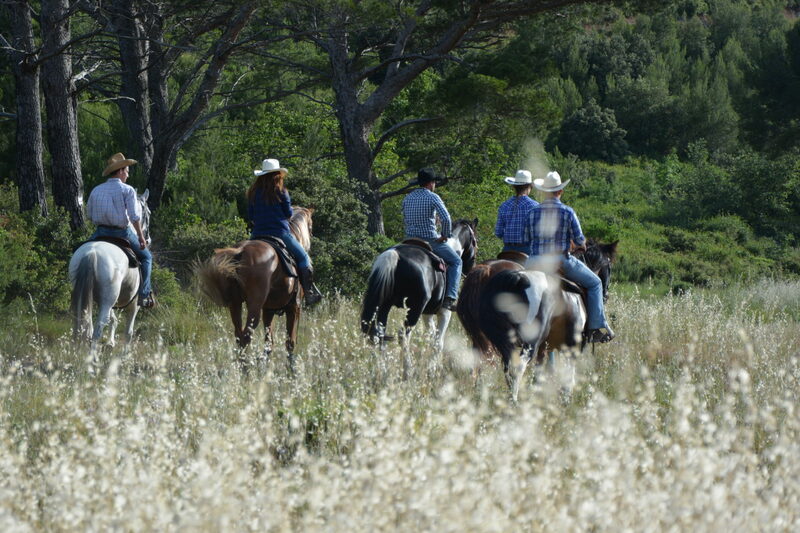 BIENVENUE à la FERME, is an agritourism network uniting horse farms and breeders ; CHEVAL ETAPE FFE identifies stables which can accomodate horses and label VALEUR PARC reflects our eco-friendly and sustainable practices. 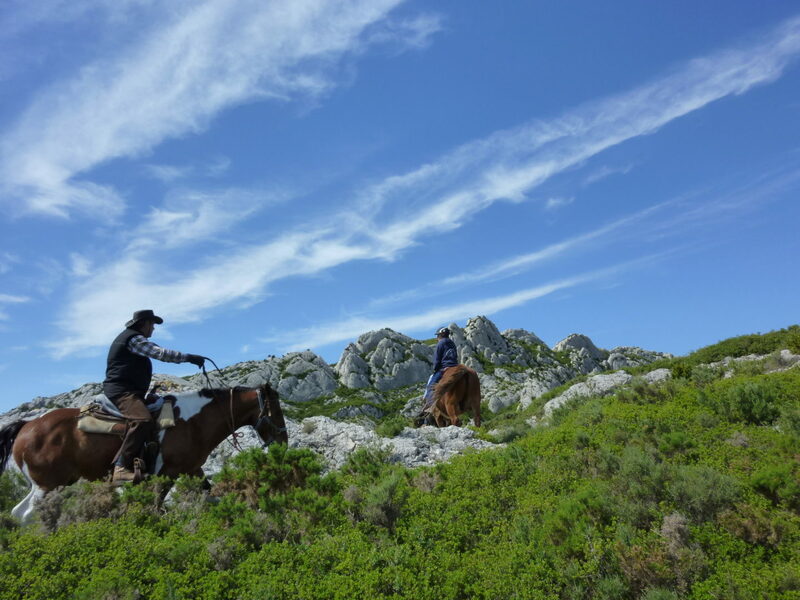 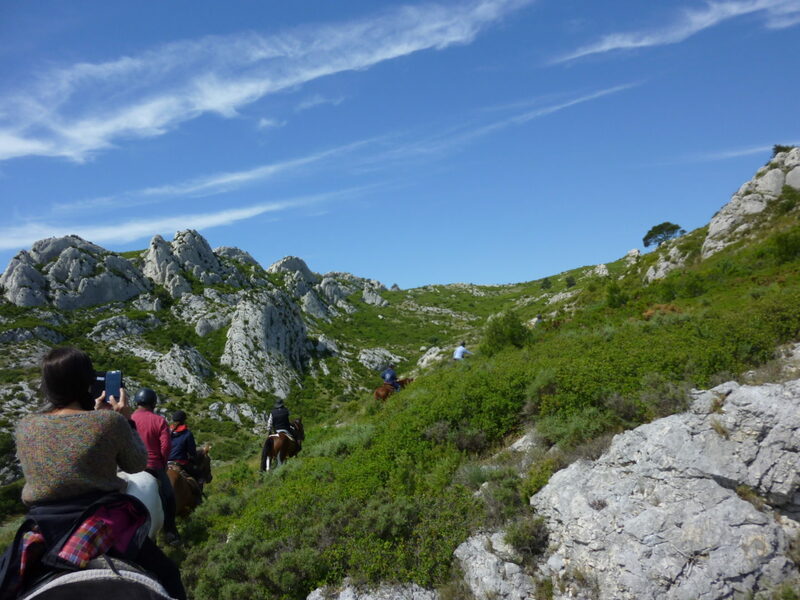 At horse’s pace you will discover the richness of Alpilles Natural Park. 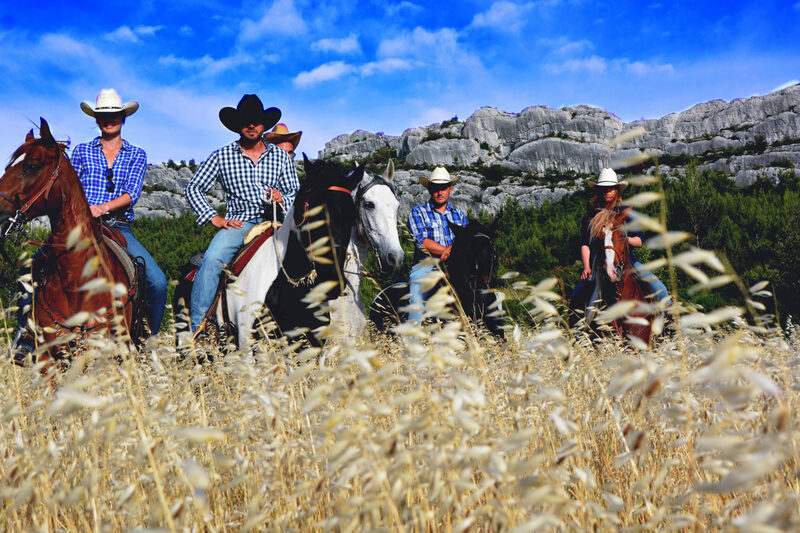 OUR + FACTOR : Sébastien, the the main guide, is a champion of western equitation and contestant at the Team Roping World Series in Vegas. 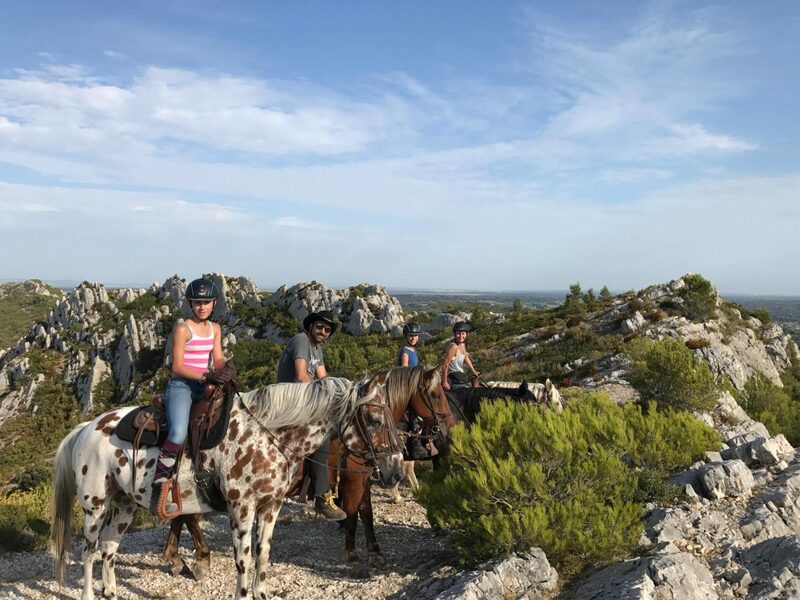 A 2 hours horse ride ride through rolling hills, Olive groves and Vineyards, to discover at the heart of Alpilles Natural Park for private groups. 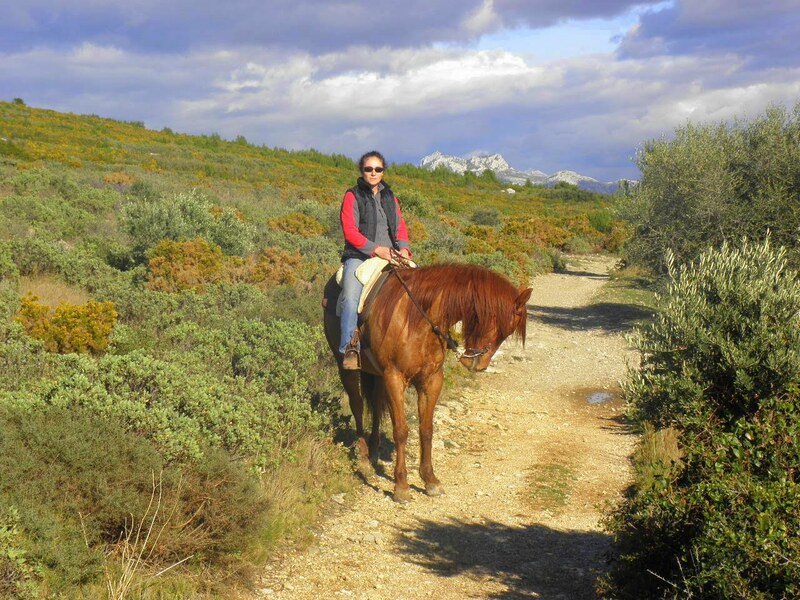 Once you dismount, the stables offer a drink and the tasting of one local product. 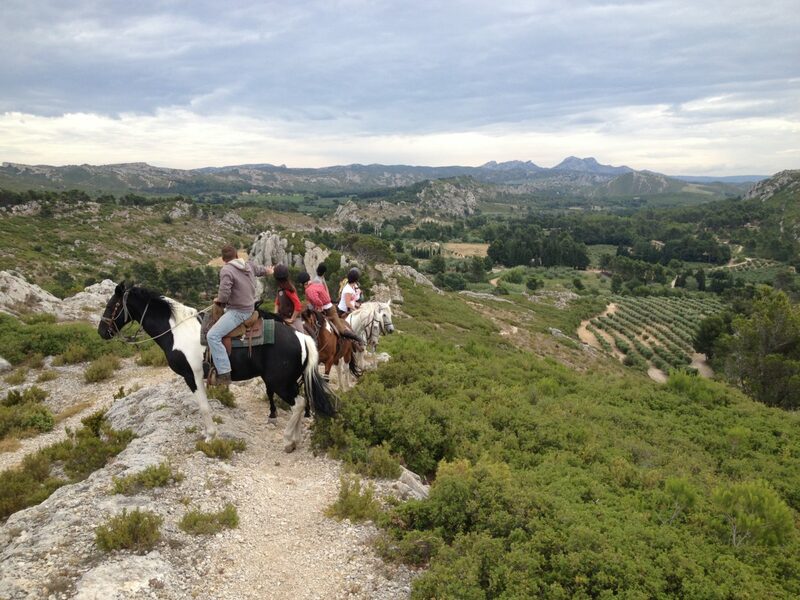 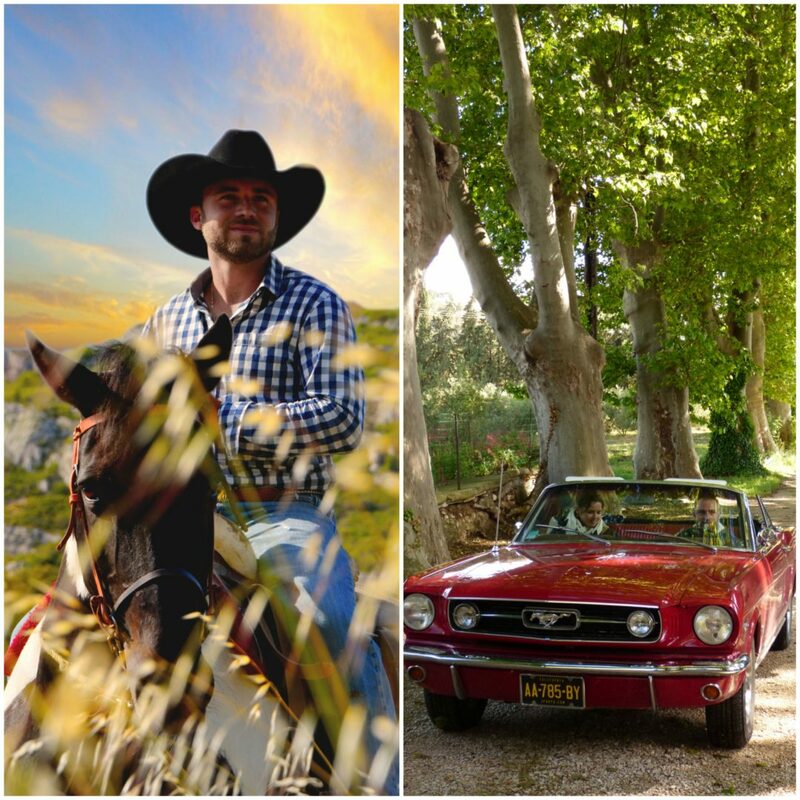 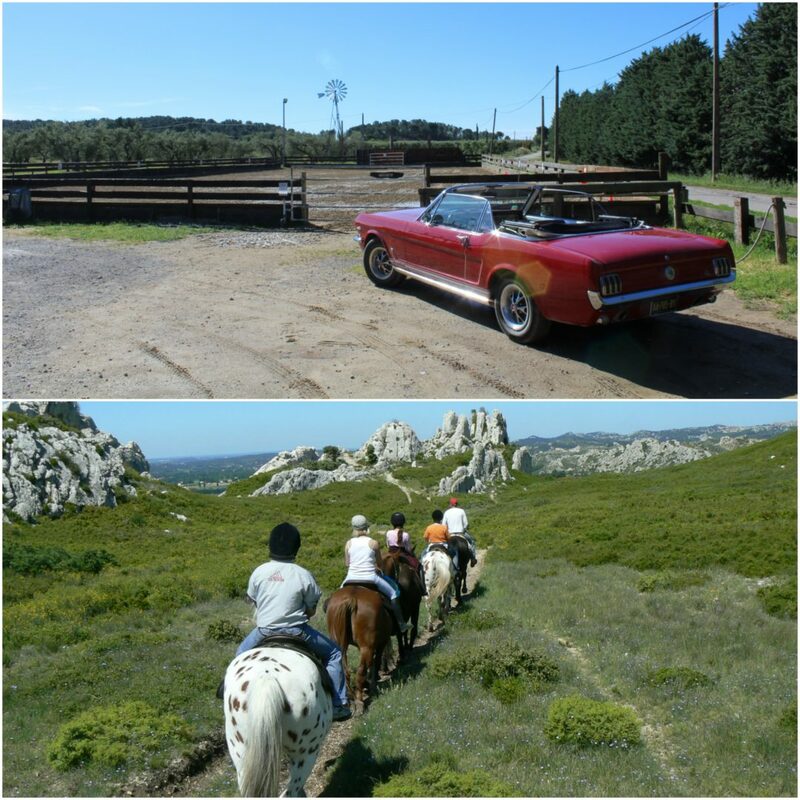 Half a day horse ride ride through rolling hills, Olive groves and Vineyards at the heart of Alpilles Natural Park for private groups. 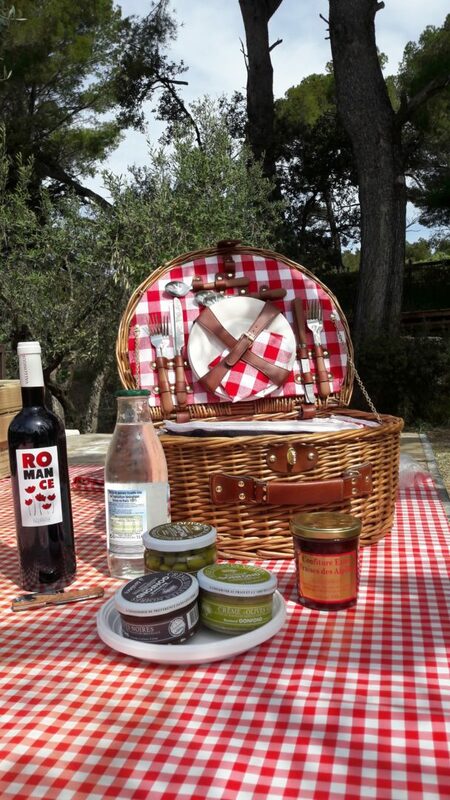 Once at the top of Alpilles hills, Le Petit Roman will offer a surprise to titillate your taste buds.